Conagra Brands is recalling a limited number of 6-oz. 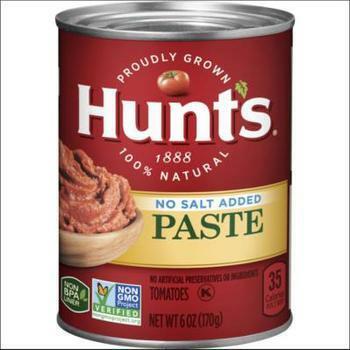 cans of Hunt’s Tomato Paste No Salt Added. The firm became aware of the issue after receiving calls from consumers. Customers who purchased the recalled product should not consume it, but discard or return it to the store where purchased. Consumers with questions may contact Conagra Brands at (800) 280-0301 from 9 a.m. through 5 p.m. (ET) Monday through Friday or visit online at https://www.hunts.com.